There are more women playing video games in the U.S. than at any time, according to recent research from the Entertainment Software Association (ESA). The average American gamer is 31 years old and 48% are female, which is up from 40 percent in 2010. Women age 18 or older represent a significantly greater portion of the game-playing population (36%) than boys age 18 or younger (17%). The popularity of free-to-play online and mobile games from Kim Kardashian: Hollywood to Candy Crush Saga to Plants vs. Zombies has helped the number of female gamers age 50 and older increase by 32% from 2012 to 2013, according to the ESA. Generations of women who grew up playing games like Super Mario Bros. and The Sims have made things even with men (50%) when it comes to the most frequent game purchasers, whose average age is 35. According to a recent survey conducted by the International Game Developers Association (IGDA), the number of women working in the game industry has doubled since 2009 to 22% of the workforce. But it’s still a man’s world— 76% of game developers are men. Wanda Meloni of M2 Research, who worked on the IGDA survey, said much of the female growth is in the education and student sector of respondents. Below are 10 powerful women in the $76 billion global video game business today (in alphabetical order). Unity is one of the most popular video game engines in the world today, bridging the gap across PC, console, mobile and even virtual reality with Oculus Rift. Kirsten Duvall has spent the better part of the past 20 years working in the video game industry. She was a product manager at Electronic Arts (EA) working on EA Sports titles across the NFL, FIFA, NBA, NHL and MLB. At Activision (ATVI) she was the global brand manager for kids and licensed games. And while at Microsoft Game Studios she worked with Bungie on Halo 3, Lionhead Studios on Fable 2 and Big Huge Games on Age of Empires III. At Unity, Duvall develops and manages partnerships with mobile game developers for the company’s Everyplay mobile game recording and sharing service. The University of Southern California (USC) has remained one of the top video game schools in the world. Tracy Fullerton, Director of the USC Game Innovation Lab, is an experimental game designer who’s been involved in successes in both the educational and consumer video game business. She was game designer for the game/art project with artist Bill Viola on The Night Journey; game designer for Participation Nation, a collaboration with Activision and KCET funded by the Corporation for Public Broadcasting; and faculty advisor for the award-winning student games Cloud, flOw, Darfur is Dying and The Misadventures of P.B. Winterbottom. The author of Game Design Workshop is currently developing Collegeology, a suite of games to help middle and high school students strategize their paths to college, funded by the Department of Education, the USC Provost’s office, the Gates Foundation and the Rosalinde and Arthur Gilbert Foundation. She’s also working on Walden, a Game, which simulates the experiment in living conducted by Henry David Thoreau at Walden Pond from 1845-47. Chelsea Howe has had success in the video game industry everywhere she’s been, from Zynga (FarmVille) to TinyCo, developer of Family Guy: The Quest for Stuff mobile game to EA Mobile, the #5 grossing mobile games publisher in the world thanks to hits like The Simpsons: Tapped Out, Real Racing and Plants vs. Zombies. The game designer has focused on creating new emotion-based game experiences with the power to transform and improve players and their communities. In her spare time she’s designed award-winning independent games like The End of Us. She’s given others an opportunity to connect with gamers by running the San Francisco Global Game Jam and teaching the next generation of game developers at the California College of the Arts. Since 2012, Pauline Jacquey has served as managing director of Ubisoft Reflections, the Newcastle, U.K.-based studio behind the perennial hit franchise Just Dance and the recent blockbuster Watch Dogs. The Ubisoft veteran has worked across the company’s Paris, New York, Montreal, Shanghai and Pune development studios since 1997. As well as producing a number of critically acclaimed titles such as Rayman 2 and Ghost Recon Advanced Warfighter, Jacquey also built the publisher’s casual and social game departments at Ubisoft Paris. Celebrating 30 years of development at Reflections, Jacquey oversees a team of 230 in the development of upcoming games like Tom Clancy’s The Division, The Crew and Just Dance 2015. The Just Dance franchise has sold over 50 million copies worldwide since launching in 2009. Angry Birds is more than just the most downloaded video game of all time. It’s one of the most successfully marketed and merchandised intellectual properties to ever emerge from a game, let alone a mobile game. Blanca Juti drives Rovio’s brand strategy, ensuring that Angry Birds continues on its trajectory as an evergreen beloved brand that has shown no signs of slowdown since launching in 2009. With the newest spinoffs Angry Birds Stella and Angry Birds Transformers, Rovio continues to connect with gamers through interactive and linear entertainment, and even a July 2016 big-screen movie. In addition to brand strategy, Blanca’s role entails overseeing Rovio’s market research, marketing, and communication activities. With a background in neuroscience, computer science, and psychology, Amy Jo Kim is both a game designer and web community architect. Having worked on games like Rock Band, The Sims and Ultima Online and helped design sites like eBay, family.com, nytimes.com and indiegogo.com, Shufflebrain works with big companies like PopCap Games, Electronic Arts, Disney (DIS) and Harmonix. The author of Community Building on the Web and adjunct Game Design professor at the USC School of Cinematic Arts oversees a team that designs smart games for a connected world. In addition to actual game development, Kim applies game design to business, education and health to connect with consumers. Cathy Preston has held her post at Game Informer since 2000. 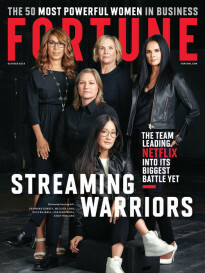 Under her leadership, the publication became an instrumental part of leading video game retailer GameStop’s customer loyalty program, Power Up Rewards. 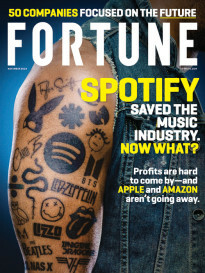 Today the magazine ranks as the fourth-largest consumer publication in the U.S., with a paid circulation of nearly 7.1 million readers, as well as the world’s largest digital magazine with distribution in 16 countries and five languages. In a digital age where most U.S. video game magazines have been shuttered, Game Informer remains the clear leader in the space. Preston began her career in the video game industry in 1987. In 1989, she joined Software Etc. as video game buyer, and was promoted to general merchandise manager, where she played an integral role in bringing the emerging category of video games to mass market retail. Siobhan Reddy is studio director at Media Molecule, the developer behind Sony Computer Entertainment’s bestselling LittleBigPlanet game franchise. The innovative studio has a new franchise with Tearaway, which debuted on PS Vita last year and is heading to PlayStation 4 with Tearaway Unfolded. At 18, the Australian native migrated to the U.K. to make games like DiscWorld Noir at Perfect Entertainment and Burnout 3 and 4 at Criterion Games. But her creativity really shined at Media Molecule, which she joined in 2006. The studio creates games that allow players to become creators themselves, sharing their custom game experiences with others. Sony continues to expand the studio’s original franchise with the November 18 release LittleBigPlanet 3 for PS4. One of the most successful first-person shooter video game franchises in the world has a pair of powerful women leading the charge on Xbox One’s Halo: The Master Chief Collection (due November 11th) and 2015’s Halo 5 Guardians. As Corporate Vice President for 343 Industries, Bonnie Ross is responsible for defining the vision and leading the Halo franchise, which has sold more than 60 million copies worldwide. (She oversees Kiki Wolfkill, executive producer for the Halo franchise, who was featured in last year’s Fortune list.) With 20 years of game development experience, in 2007 Ross founded 343 Industries, which has successfully transitioned the adventures of Master Chief from franchise creator Bungie. Ross has helped grow the Halo franchise beyond gaming with bestselling books, a Halo: Nightfall live action video series from Ridley Scott, an upcoming TV series produced by Steven Spielberg and a new Halo Channel that will connect gamers with everything Halo. Margaret Wallace is an entrepreneur focusing on the gaming, tech and digital media sectors. As CEO of Playmatics, she’s bringing rich gaming and digital media experiences to a variety of connected platforms. Located in Manhattan and San Francisco, Playmatics focuses both on branded and original IP with an emphasis on creating refreshing and disruptive interactive experiences, many with connections to the real world. The company developed the PlayComix storytelling comic book engine, which was used by AMC TV for titles like Breaking Bad: The Interrogation and The Walking Dead: Dead Reckoning. Wallace was a pioneer in casual games, having founded Skunk Studios and released online games like QBeez and Gutterball. Margaret also spent time at Shockwave.com, Mattel and Mindscape and has worked on numerous brands, licensed products, gaming portals and original IP.